The evolution of technology in astronomy requires a system which will assist the focusing of the telescope with great accuracy. Fast optics and modern camera devices require automatic focusing in every small period of time as temperature can affect focal length and modify the optimal focus position. Pegasus FocusCube has been developed to meet these requirements. Designed in high quality with modern electronics it can provide digital precise focus control from a PC. 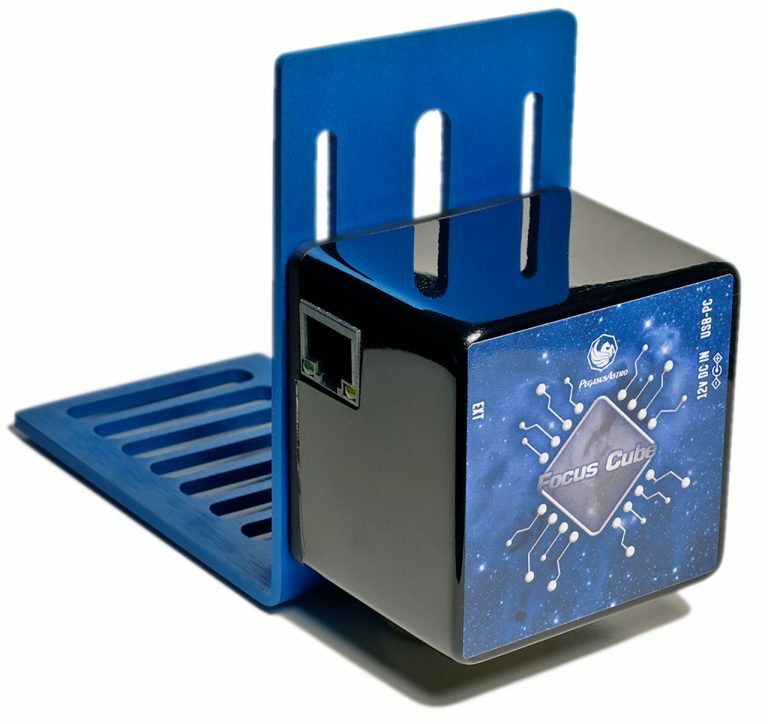 FocusCube includes a stepper motor for absolute position focusing. 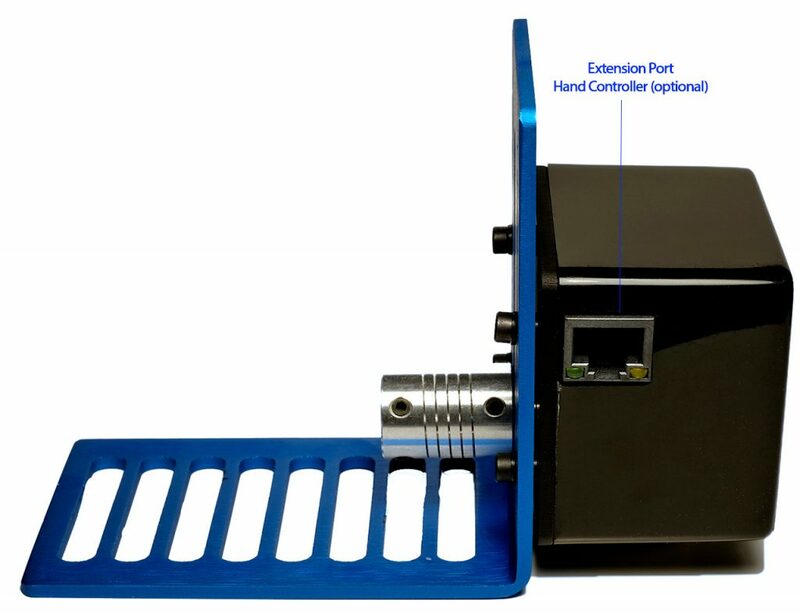 Electronics and stepper motor are enclosed in a compact sized box. Do not be fooled by its size! This device can easily lift more than 4kg of imaging equipment when the telescope points to the zenith! This stepper motor is a high resolution geared stepper motor (Step Angle 7.5, Deg 120, Gear Ration 1:120). Its gearbox has very low backlash and high torque suitable to focus in micron scale! You only need this device to focus! 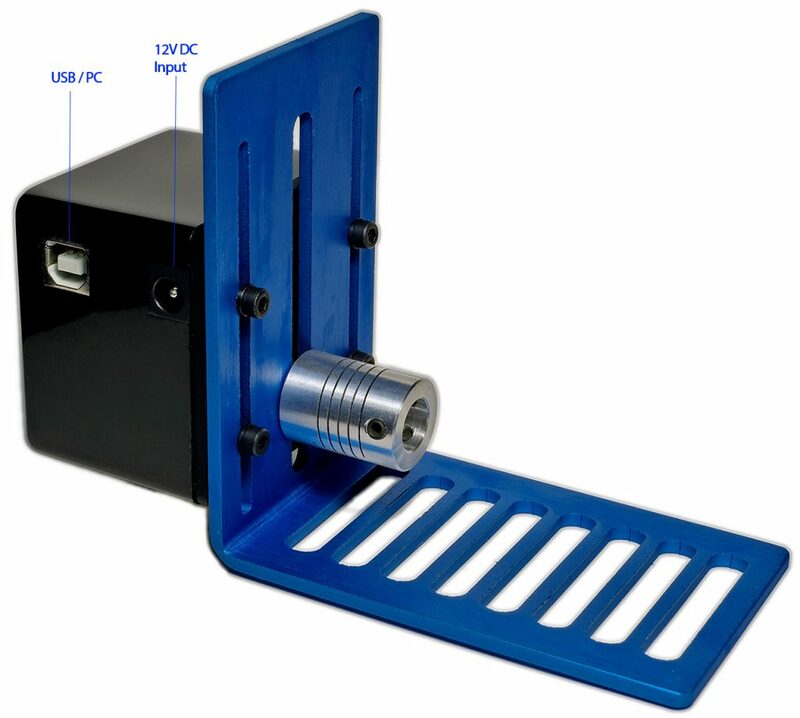 Attach the FocusCube to your refractor / reflector/ SCT telescope, plug the power and a USB cable, download ASCOM drivers or standalone software and you are ready to go! FocusCube includes an expansion RJ45 port on the left side. We are going to provide an optional handset for manual focus control. The controller is fully compatible with ASCOM 6. A 1.8m USB Type B cable is included in the standard package. Controller firmware supports re-programming via the USB 2.0 connection using upgrade software, for future upgrades which may become available. We constantly receive feedback from our customers and keep updating the firmware and software with new features. For the FocusCube device including the temperature sensor. Motor Specs High resolution geared stepper motor (Step Angle 7.5, Deg 120, Gear Ration 1:120). Its gearbox has very low backlash and high torque suitable to focus in micron scale.